Past Saturday Stephan and his daughter Japke paid a visit to our offices in Amsterdam, where I had the prototype of the NOMOS Club Campus Amsterdam available for them to fiddle with. Stephan subsequently interviewed himself (not weird at all, really!) about the watch. Stephan is the owner of ForASec Watches. With this company he offers an impressive portfolio of micro brands, including Margrette, Halios and Seals. Besides these smaller brands he also has a raging passion for the Omega Speedmaster Professional. His love for watches has spread well into the next generation, as witnessed by yours truly during this father-and-daughter visit. 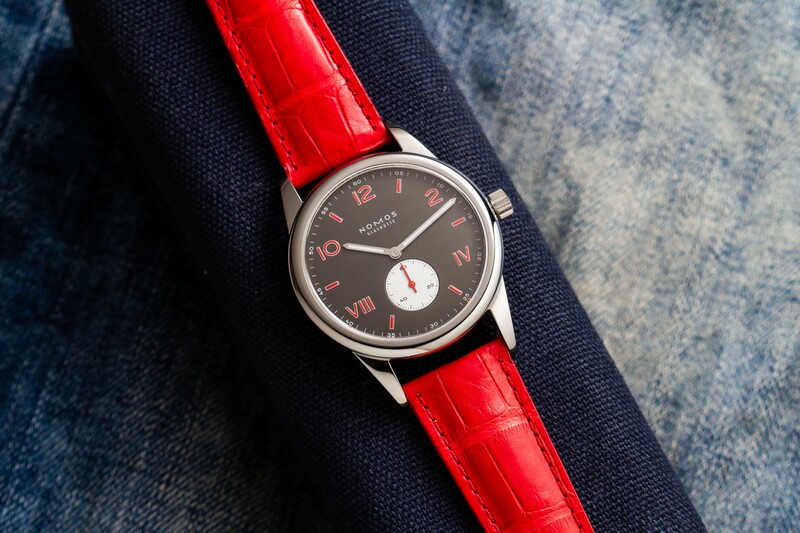 Did you like the new Ace x Nomos watch? S: Yes, I loved it on my wrist. Lots of stuff to look at and funny how the sub dial makes it stand out when looking at it from a distance. Would somehow love a red suede strap to go with it. I already put it on a red alligator Stephan, and have a red tropic on order. Way ahead of you! Any particular features that stood out? S: Yes. As said that subdial and let’s not forget the movement! I love hand winders because they show more of the movement than automatics. The finishing is really outstanding! My daughter loved the three X’s on the crown. Quirky details like that are appreciated. S: Tempted but still thinking on how to explain the wife that our teenager goes to school wearing this. S; Outstanding collaboration that combines two of your passions. Nomos and Ace for me combine well. Both versatile, committed, a little bit nerdy but most of all passionate. You should make a sticker. Follow Stephan on Instagram and make sure to pay his website a visit! Thank you Stephan and Japke! The Club Campus Amsterdam is available in our boutiques, on AceJewelers.com and right here on Minimatikal.